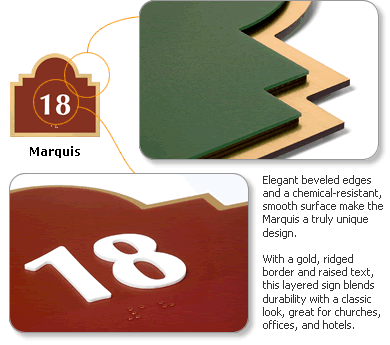 Our Marquis Sign Series is a true mark of style. 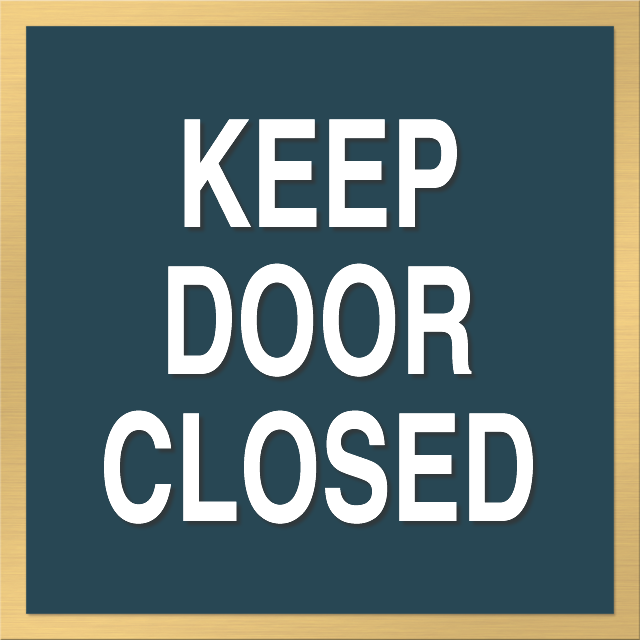 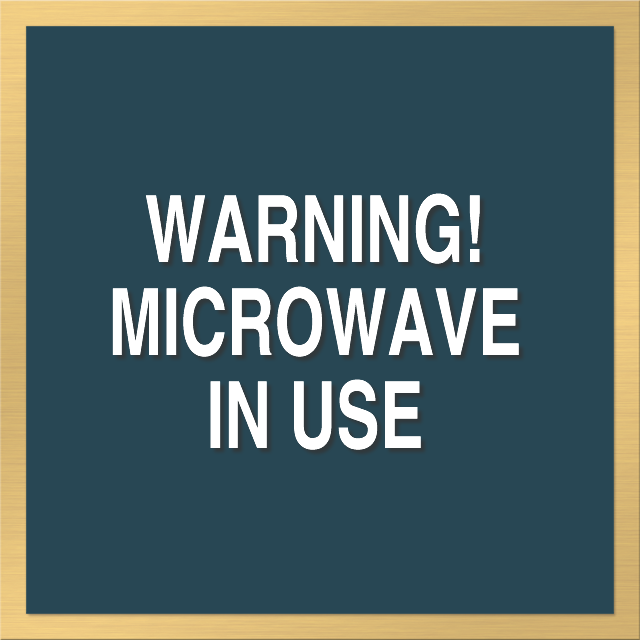 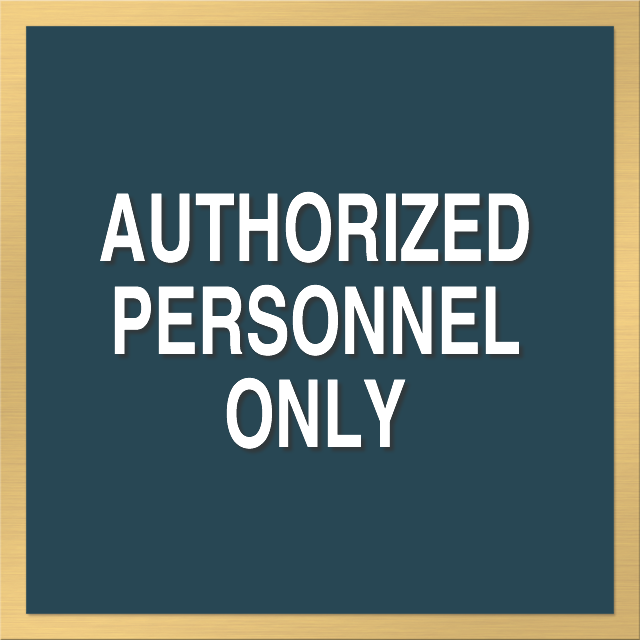 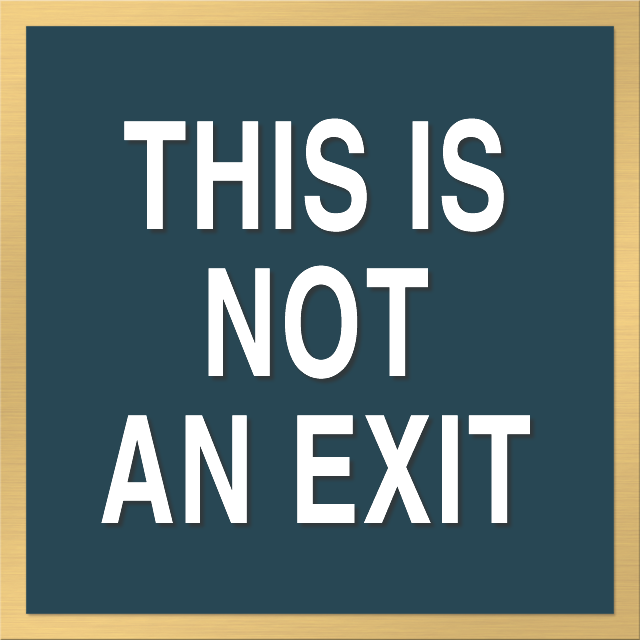 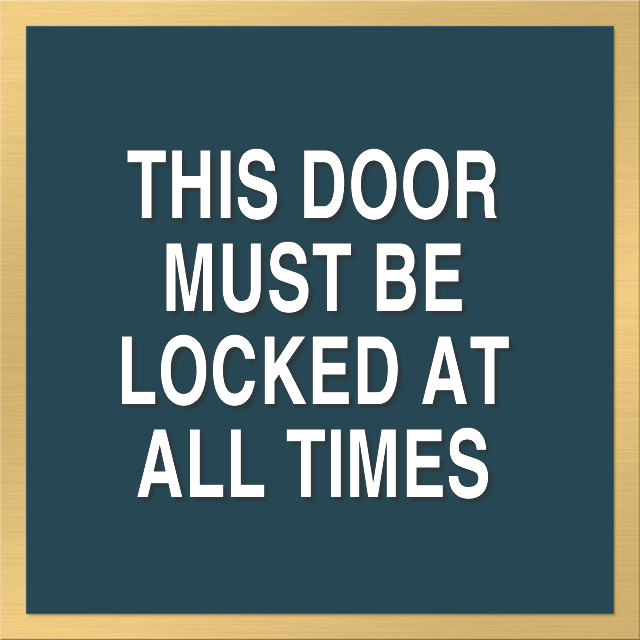 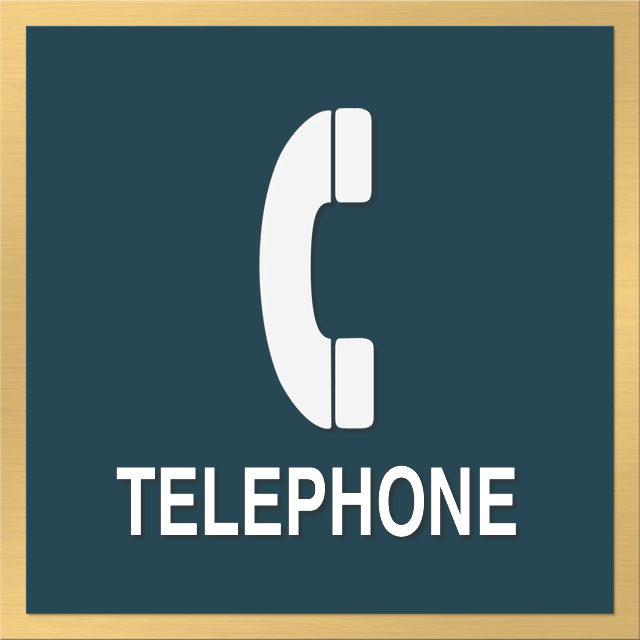 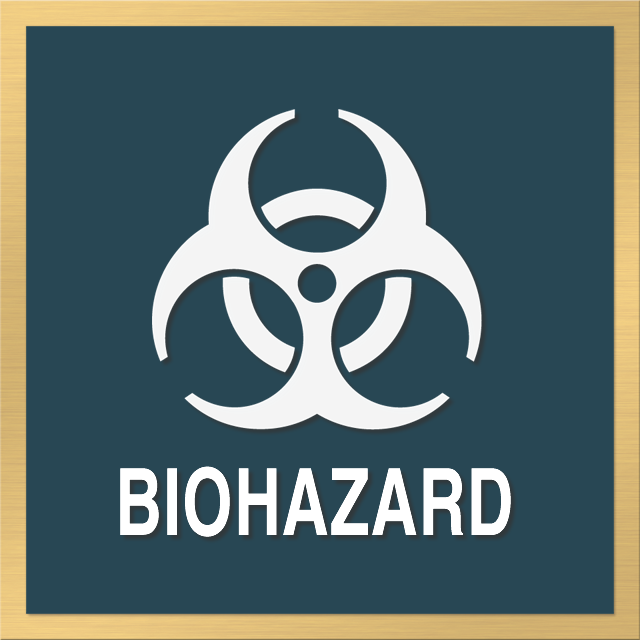 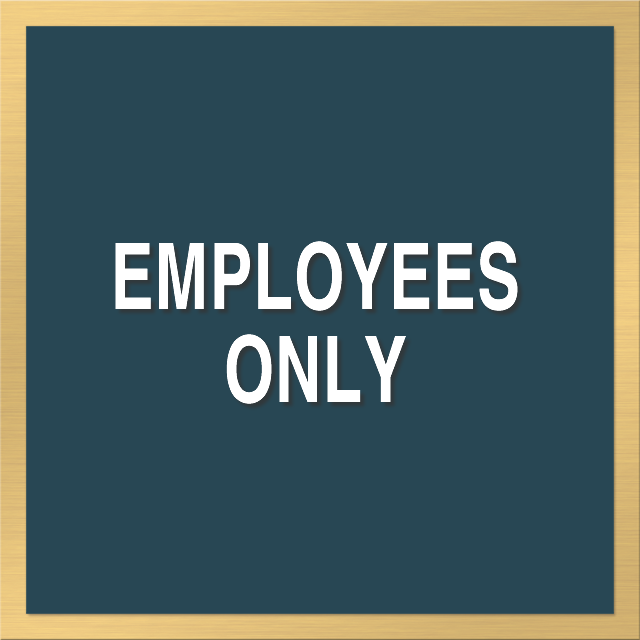 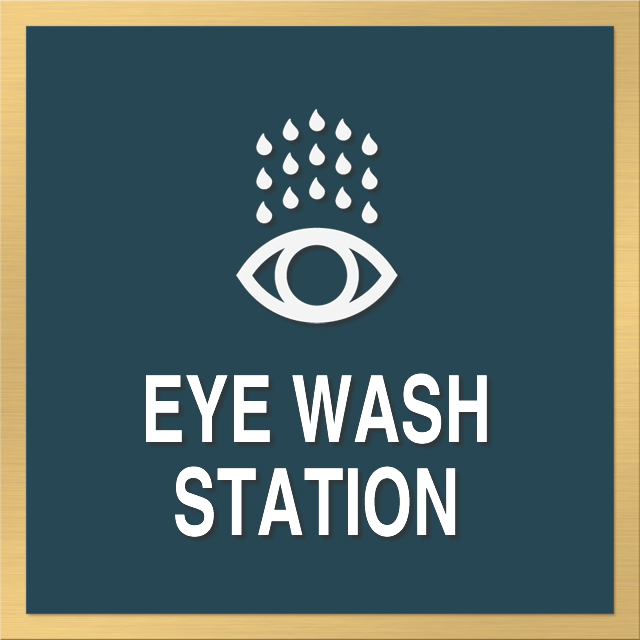 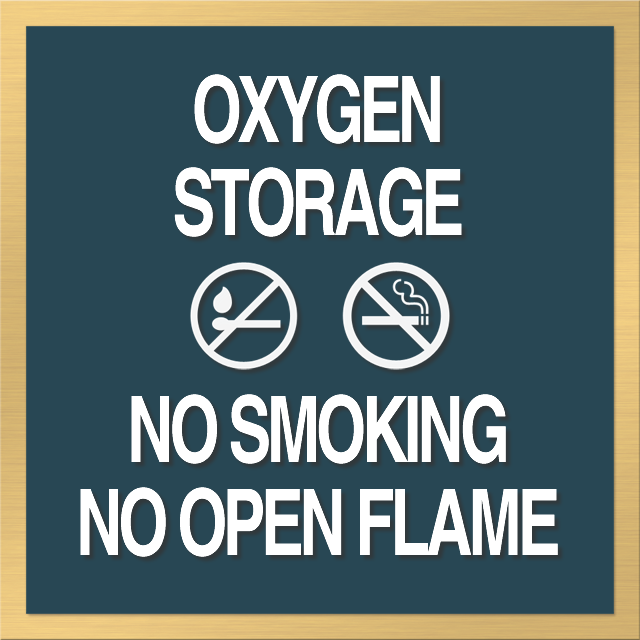 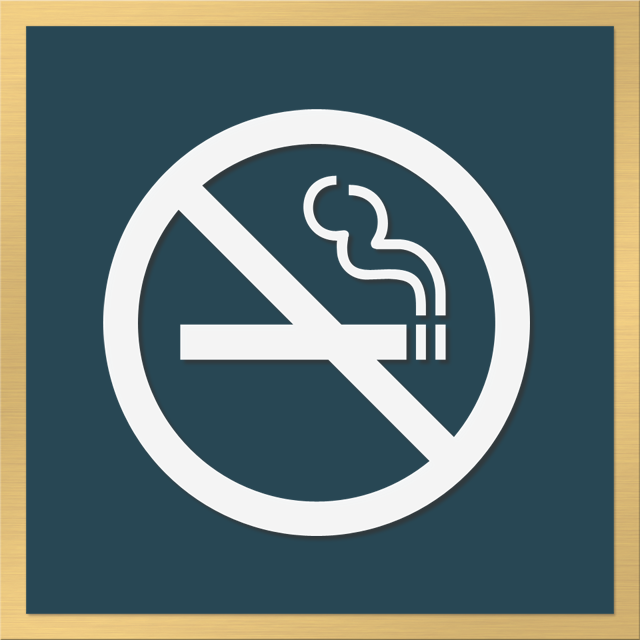 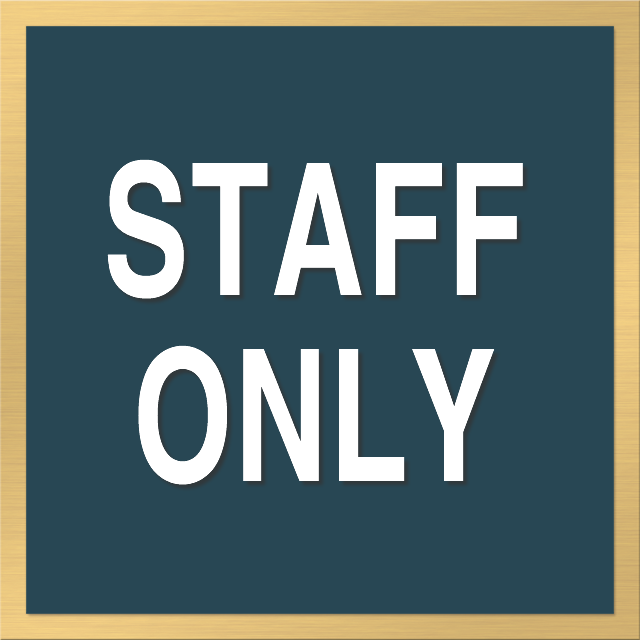 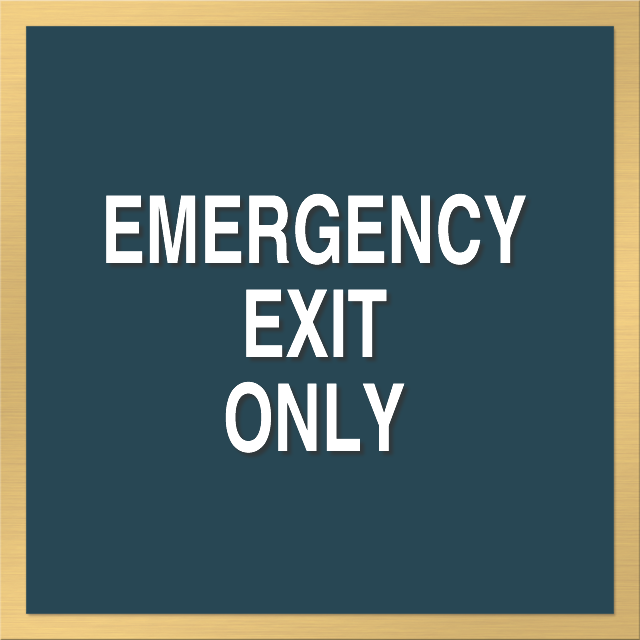 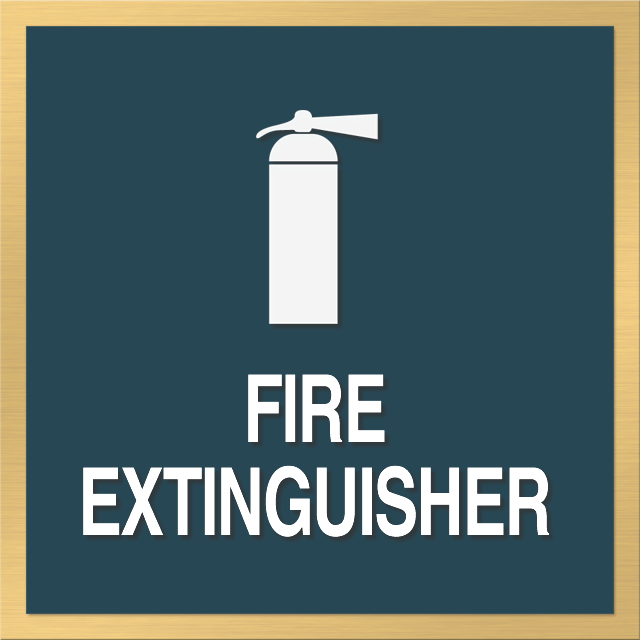 A durable polystyrene back plate is hot-stamped with premium gold plating for a sturdy, elegant sign background. 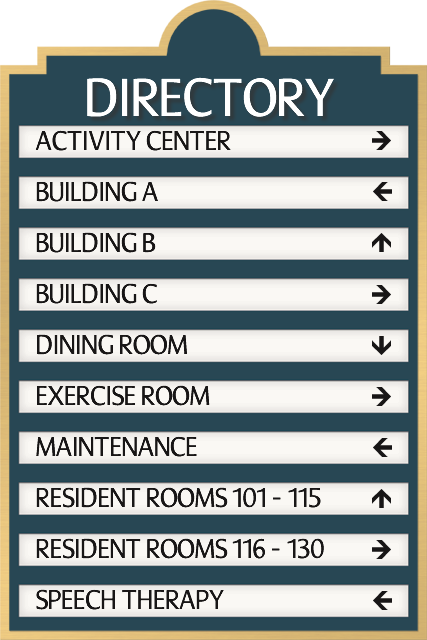 This complete system will help you identify rooms, regulations, and directions and instructions. 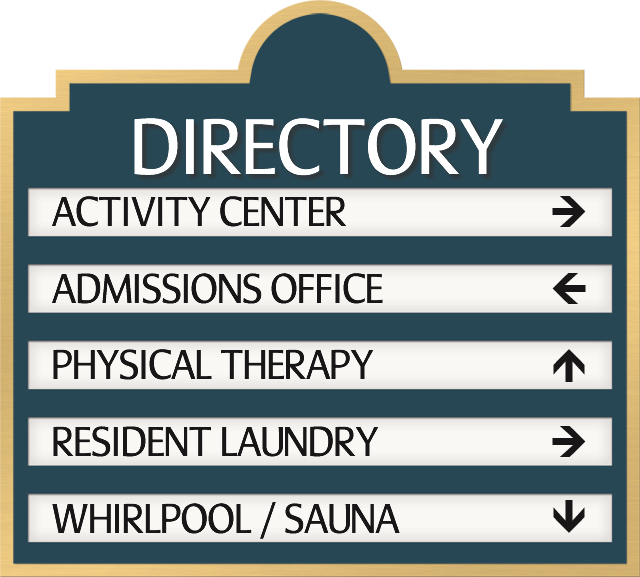 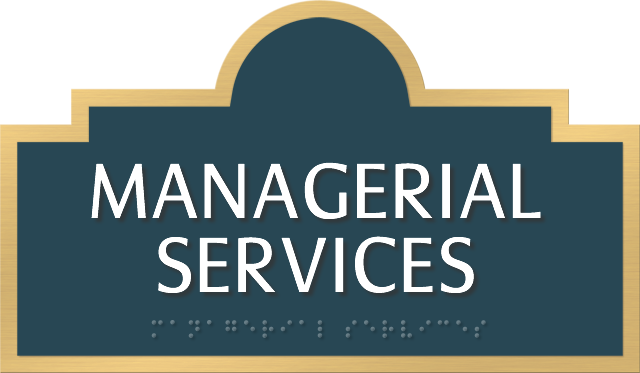 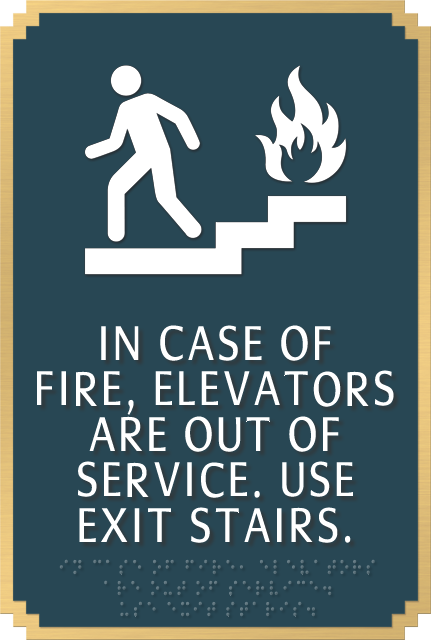 As one of our most versatile signs, the Marquis is great for residences, offices, hotels, and more! 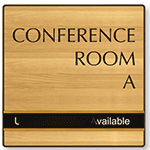 • Designer shape with brushed gold backplate. 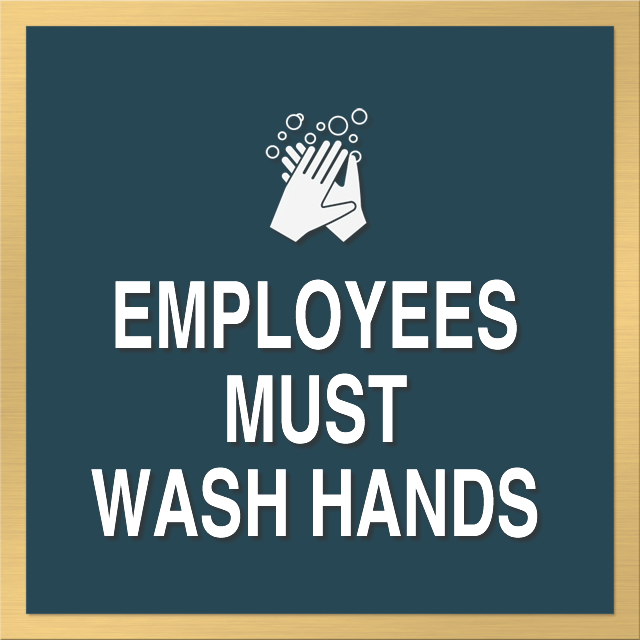 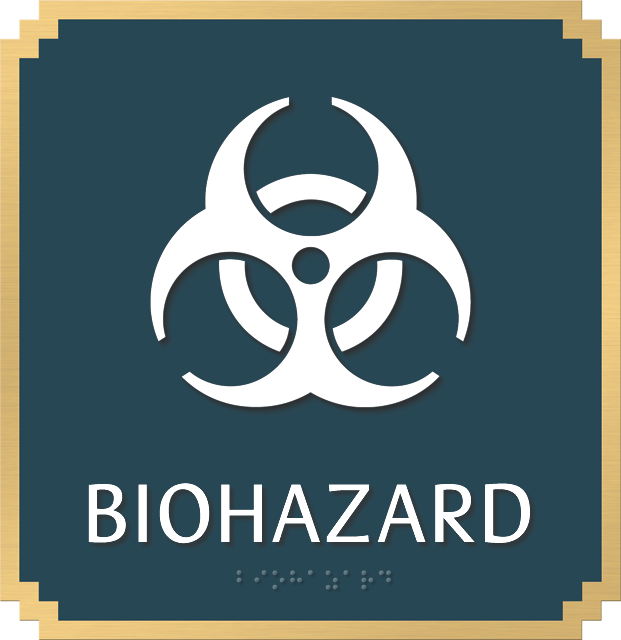 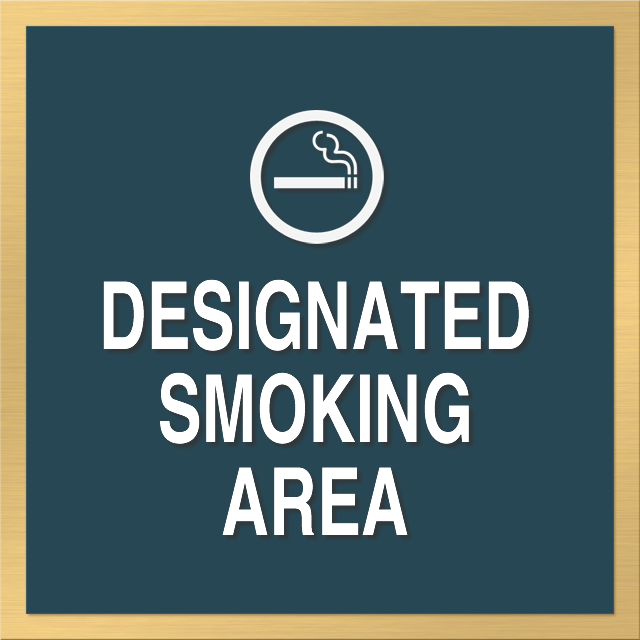 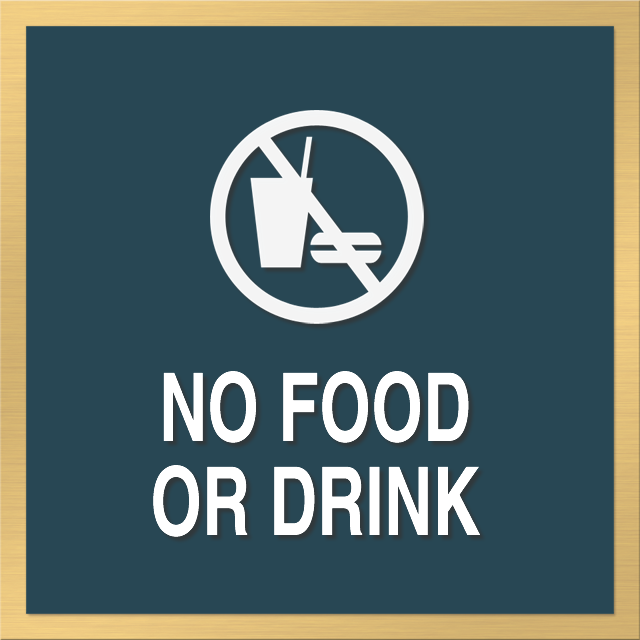 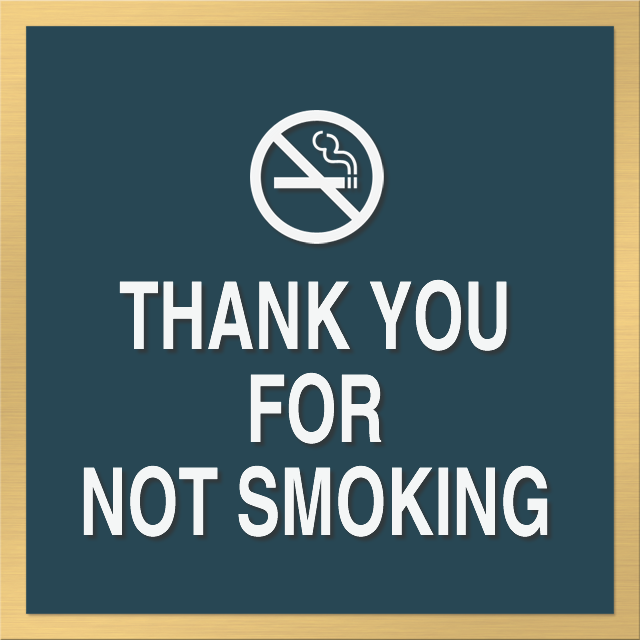 • Sign face constructed of durable plastic that is scratch and chemical-resistant. 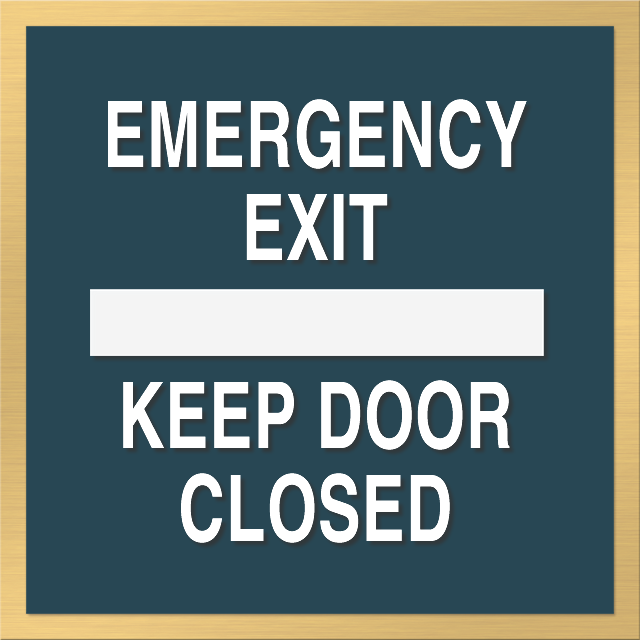 • Inserts are easy to change or update with your laser printer or labeling machine. 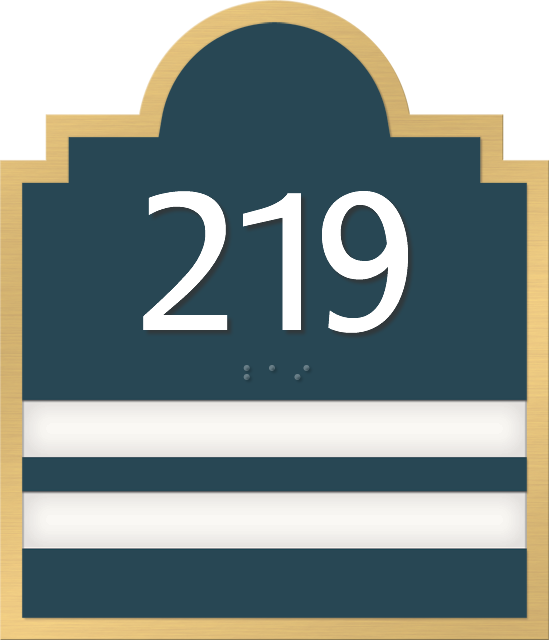 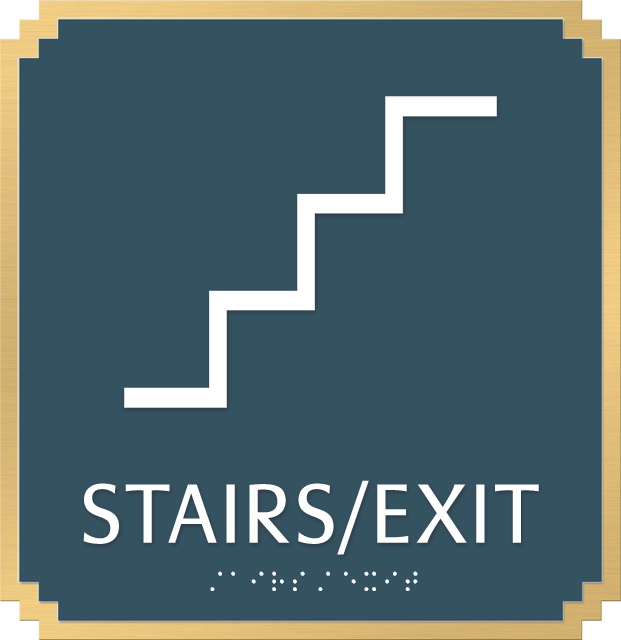 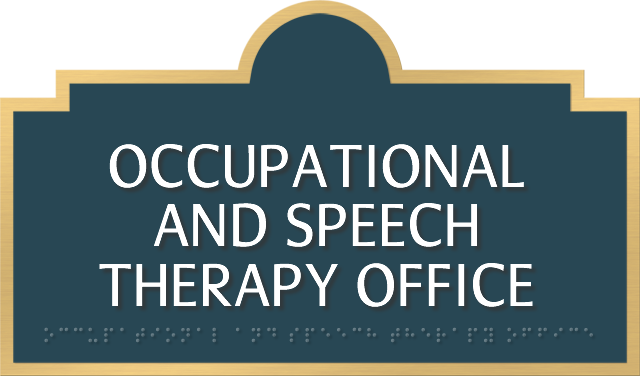 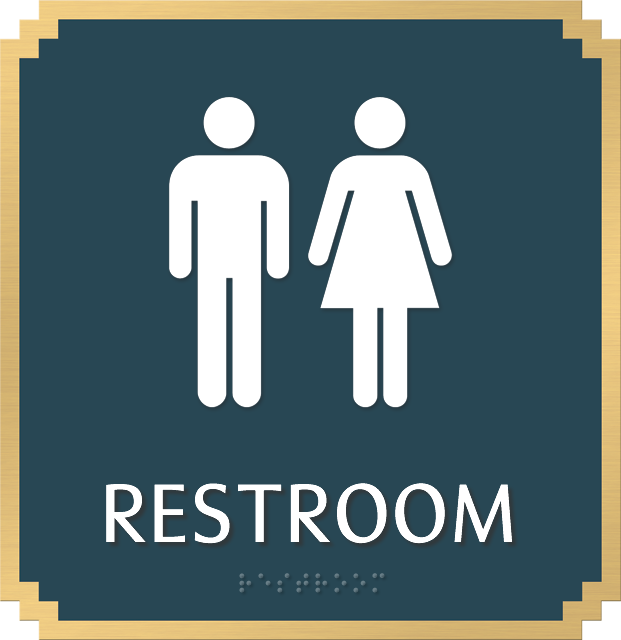 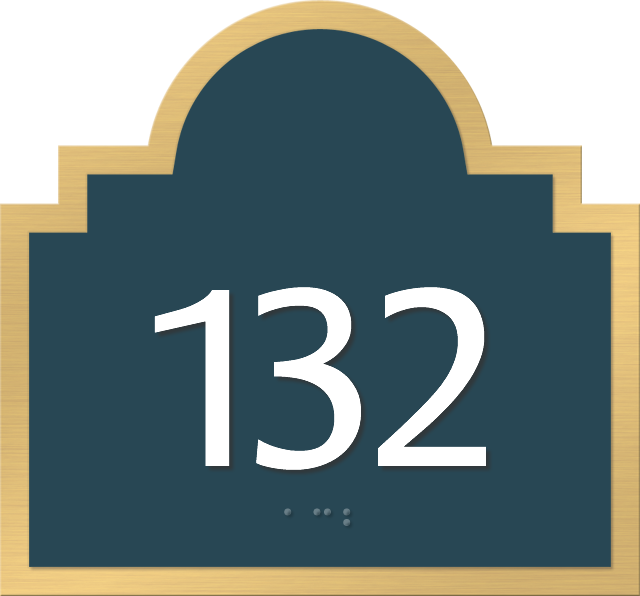 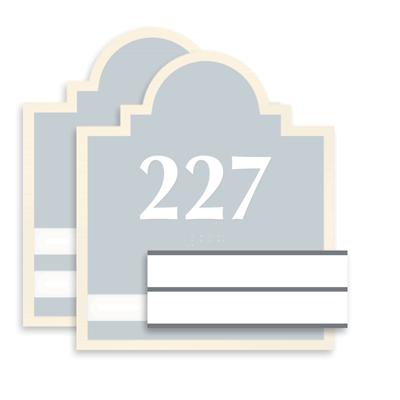 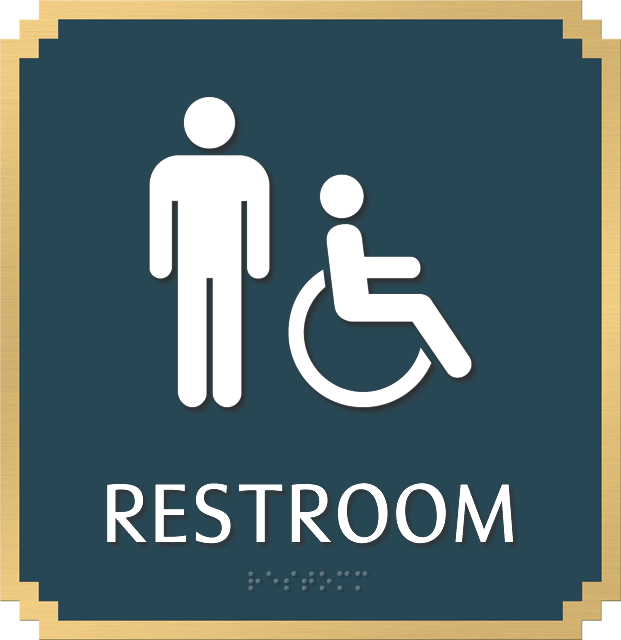 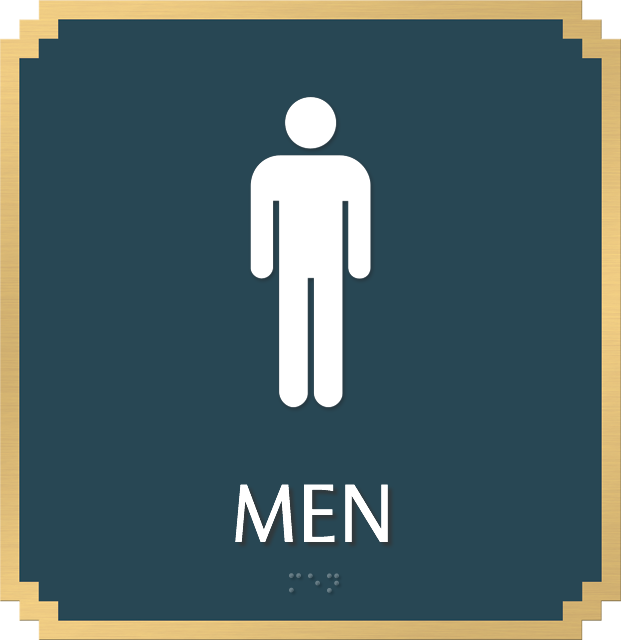 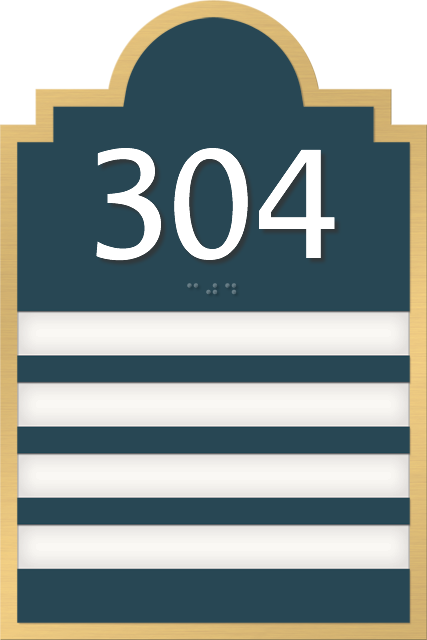 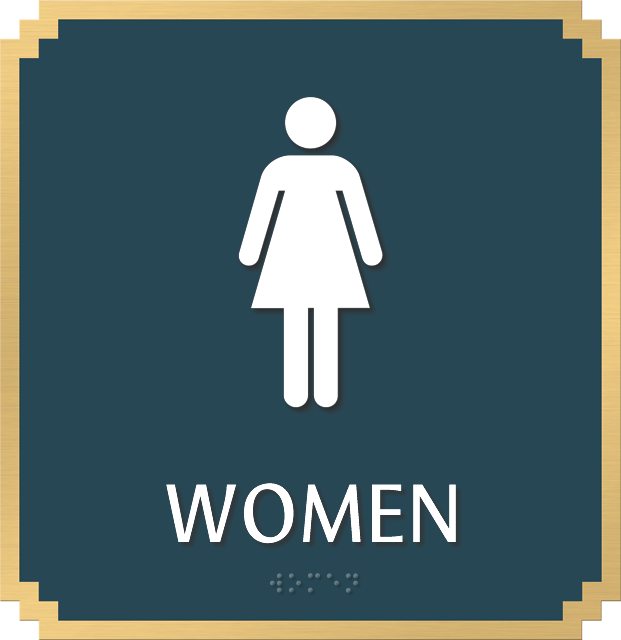 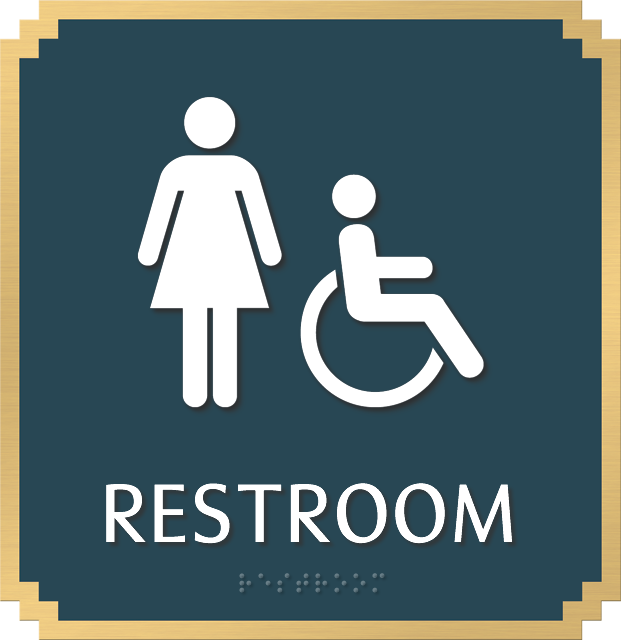 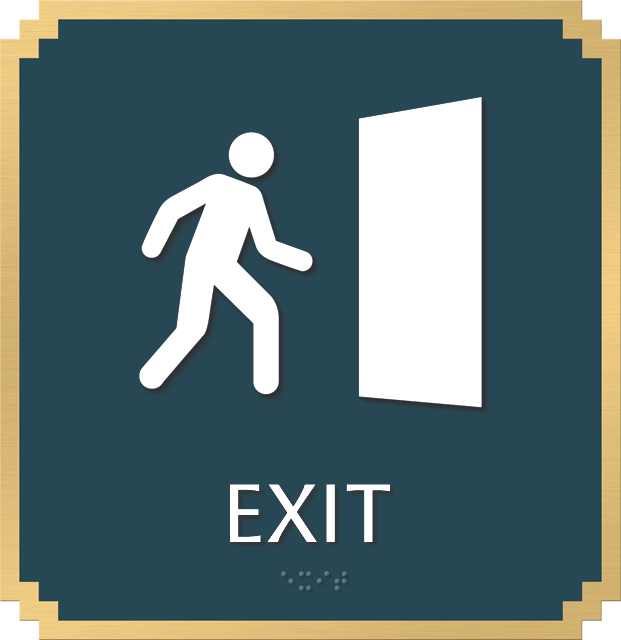 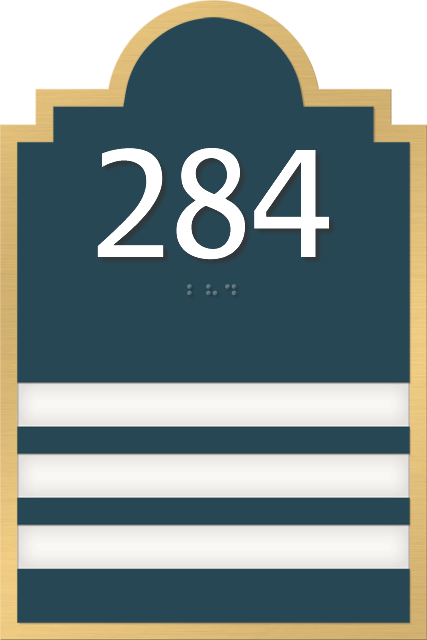 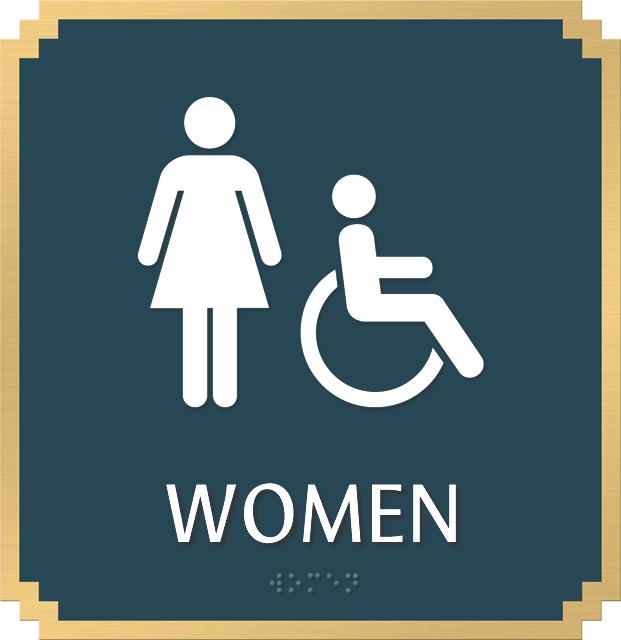 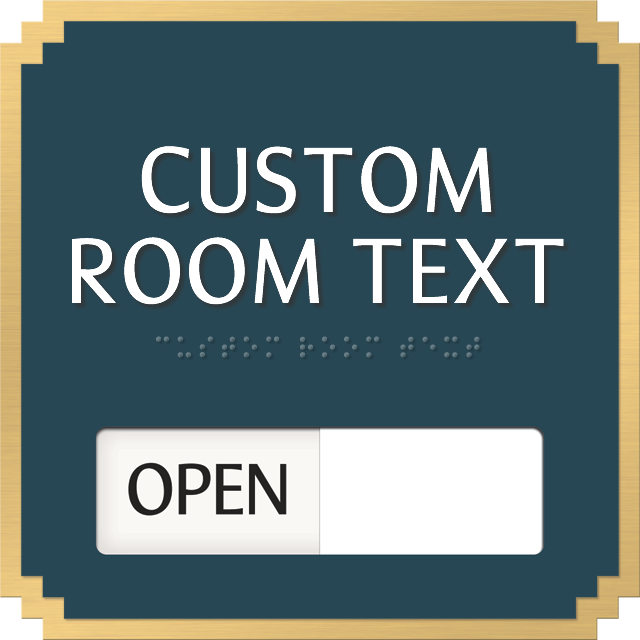 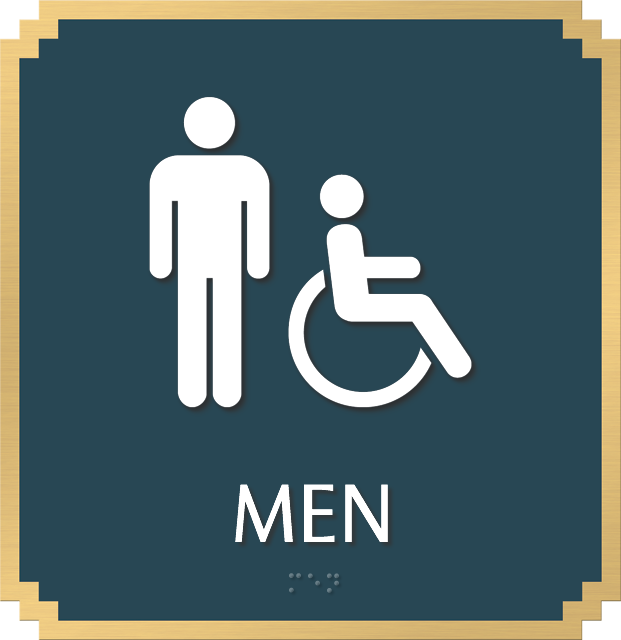 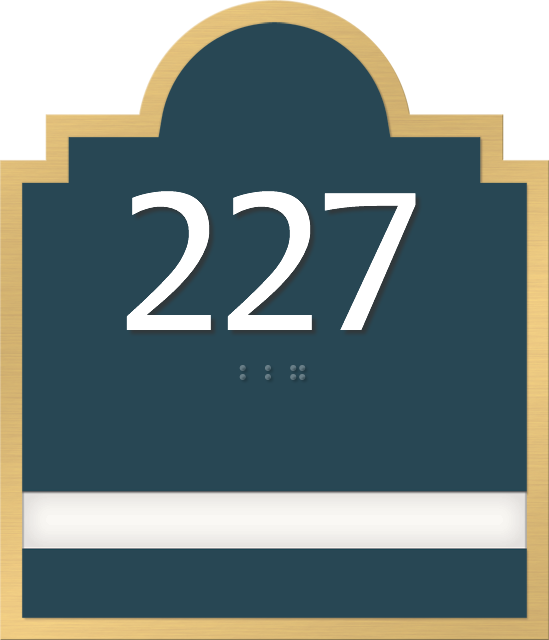 • Raised white characters and Grade II Braille for permanent room signs meet and exceed ADA regulations. 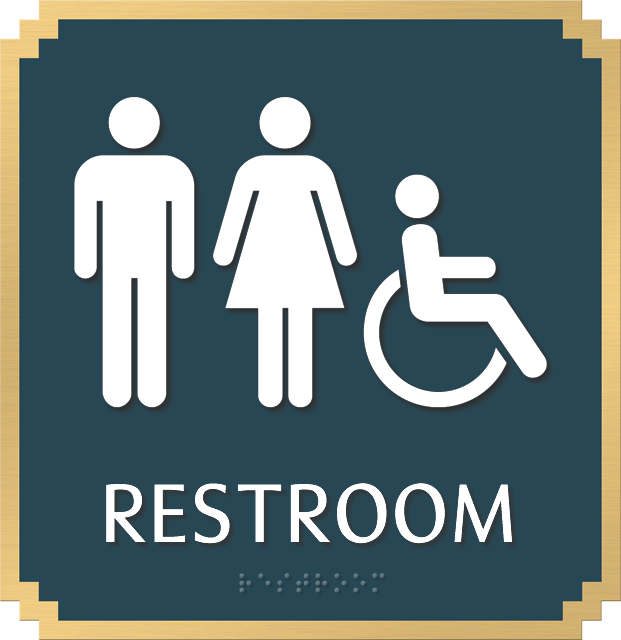 (The Americans with Disability Act). 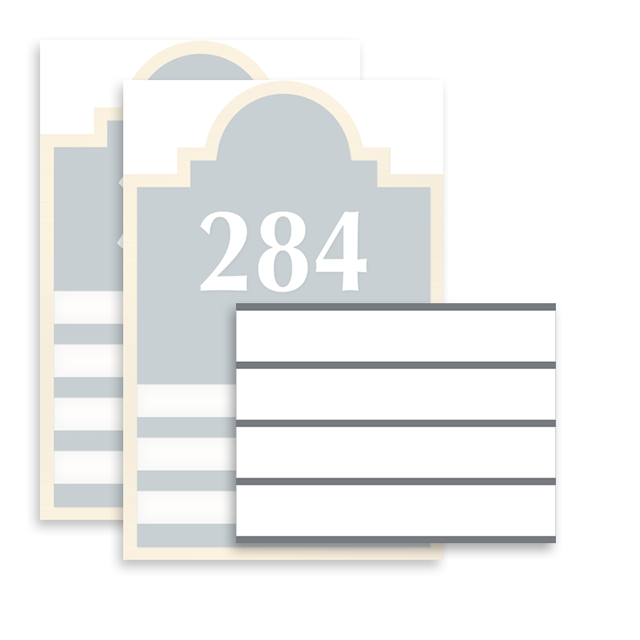 • Choose from 44 designer background colors. 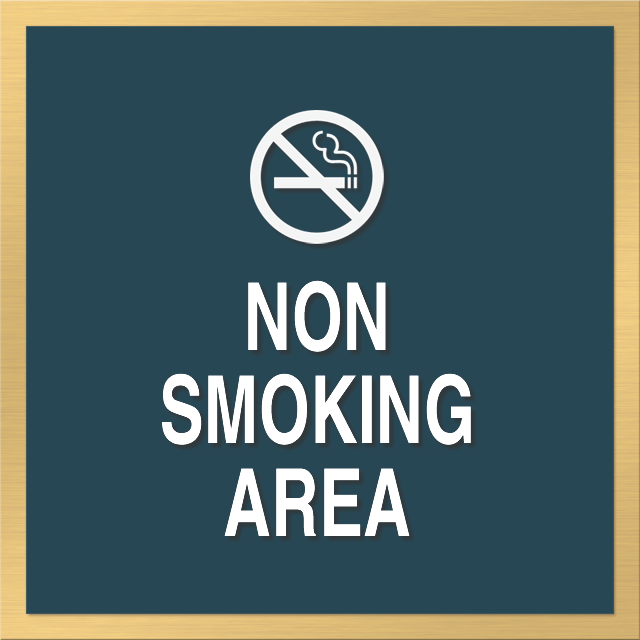 • Slim profile offers a sleek look with classic detail.